Perhaps more than any other room in the house, clients love their kitchen. More than just a place to cook and prepare meals, clients use their spaces as impromptu meeting and gathering spaces, where family and friends congregate to share meals and moments. Trade pros looking to amplify that welcoming feeling can find all the best wholesale kitchen remodeling products at ProSource® of Tampa. 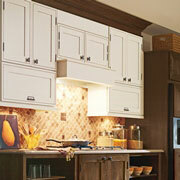 Kitchen cabinets can be one of the longest lasting investments a client makes in their kitchen remodel. Make sure that they have cabinets that fit their style and taste for years to come with the wholesale kitchen cabinet options at ProSource. 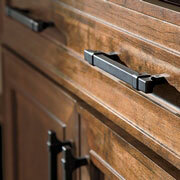 For a truly tailored kitchen cabinet experience, trade pros and their clients can browse our showroom’s impressive palette of cabinet hardware. You’ll find pulls, knobs, handles, and more in a variety of styles and finishes that can perfectly match any kitchen’s aesthetic. 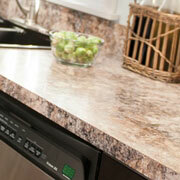 Kitchen countertops provide your clients with a functional and fashionable way to brighten any kitchen. At ProSource, we offer classic choices like granite and marble countertops, whose natural colors can seamlessly fit into any kitchen decor. 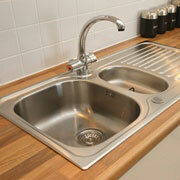 Ask our kitchen design specialists about our recycled material countertop options. When it comes to making a remodeled kitchen design a reality, the right kitchen sink can feel like a dream come true for clients. We offer sinks that can be mounted above and under the counter in premium materials like porcelain, stainless steel, and marble. 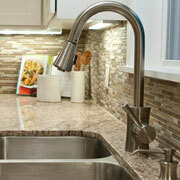 To bring any kitchen to life, work with our design specialists to find the perfect kitchen faucet. Paired with a new sink, your client will appreciate the innovative new features like a pot and beverage filling spout and ergonomic handles.